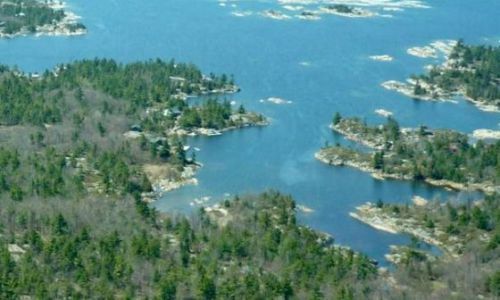 The Laura Bay Reserve is a combination of two property donations centred around the eastern end of Laura Bay in the north part of Pointe au Baril. The property includes not only a large portion of the coastal meadow marsh wetland along the shoreline of the bay, but also extensive interior habitats including rock barrens, forests and interior swamp and fen communities. The property is also adjacent to the start of two conservation reserves which protect the majority of the shoreline and interior habitats north of Pointe au Baril. The property provides habitat for a number of area sensitive and rare species such as the Eastern Massasauga Rattlesnake. My husband and I purchased our property in Pointe au Baril in the fall of 2007. The opportunity to donate a portion of the property to the GBLT appealed to us. We liked to think that we could help preserve a small piece of a pristine natural environment that would forever remain untouched by bulldozers, or chainsaws; that would not be paved over with a mixture of tar and rubber tires or tainted by leaching industrial pollution; that would remain, always, as it is today. Another donation of land was added to our own, by a group of like-minded individuals, to create the Laura Bay Reserve.